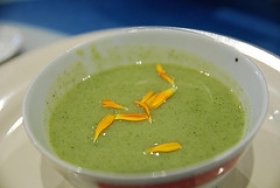 Have you made Broccoli And Potato Soup? 1. 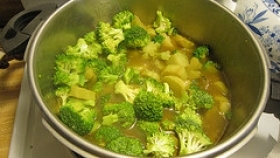 Chop fresh broccoli and cook until tender. 2. Drain. 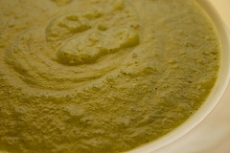 Put broccoli in food processor. 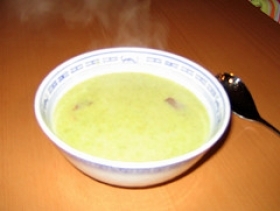 Mix soup stock with milk. 3. 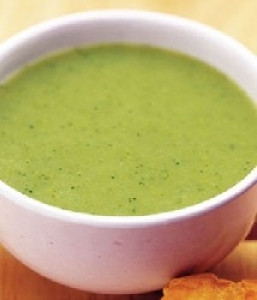 Add 1 cup of soup stock/milk mixture to broccoli. 4. Process until broccoli is in tiny pieces. Boil cubed potatoes and chopped onions in water for 10 minutes. 5. 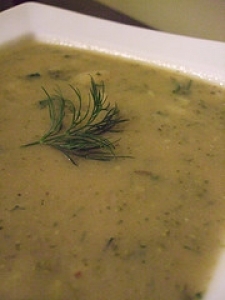 Drain; return potatoes and onions to soup pot and add rest of soup stock/milk mixture, minced garlic, salt, pepper, butter and minced broccoli with soup stock. 6. Bring to a boil and immediately reduce to a simmer. 7. Simmer 10 minutes or longer if you prefer vegetables well done. 8. Add Parmesan cheese, sour cream and Worcestershire sauce. 9. Stir until all is mixed in. 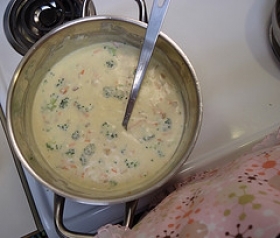 Do not allow soup to boil after adding sour cream it will cause separation of the sour cream. 10. 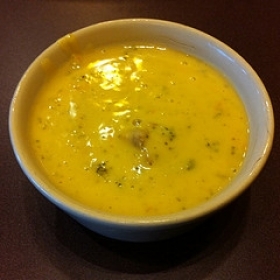 You can add a sprinkling of shredded chedder cheese for garnish. This recipe contains potential food allergens and will effect people with Milk, Butter, MSG, Potato, Poultry, Cheese, Malt, Garlic, Onion allergies.